AFP Massachusetts is committed to encouraging persons who are underrepresented in the field to become active members of our organization. This program accepts up to ten fellows each year for a two-year program that includes complimentary AFP MA membership, training and networking, and a mentoring arrangement with a senior professional. Opportunities to meet and network with other fellows, members, and sponsors through organized events. Employed by a 501(c)(3) organization with an operating budget of under $3 million or an organizational fundraising goal of less than $1 million in private philanthropic dollars (Note: If you don't meet this criteria please click here to review this chart and if you have any additional questions please contact us; AFP MA can offer a limited number of paid fellowships). Ability to participate in an interview (Date TBD) with members of the AFP MA Diversity Committee. Note: You need not be a current member of the AFP Massachusetts Chapter to apply. If you are a senior practitioner with 6+ years of experience and have an interest in mentoring one of our diversity fellows please take a look at our Mentor Program Description or contact Elsa Gomes Bondlow at egomesbondlow@supportunitedway.org. "I gained new skills and information for writing successful grants, along with contact information for resources from different individuals and companies. It's a great program and asset to any one that has the opportunity to attend!" "The big benefit was attending any of the AFP educational events. It helped me learn a lot. The largest benefit was being provided a mentor. I just spoke with her recently and it is nice to stay connected to her. She helped me with my resume and with building my confidence. She also helped me get this job by introducing me to someone here in New York, so I would not be in this role without being introduced to my mentor through the AFP program." "The program gave me a window into the varying aspects of fundraising and the opportunity to be around people in the field and learning by taking advantage of the programs. Having the "Fellows badge" made me feel a part of things and encouraged me to grow in the work. It was a signature that I was supposed to be growing and advancing in my career which was helpful. So development is now officially in my blood. Thanks in large part to AFP." "Being an AFP Diversity Fellow was a great experience and I would recommend anyone in my field to apply to this fellowship. In addition to the networking and educational benefits of attending their big annual conference, AFP also provides workshops and courses on interesting topics that I am able to learn from and use in my profession. My advice is to fully utilize all the events and courses that AFP offers during your time as a Diversity Fellow." 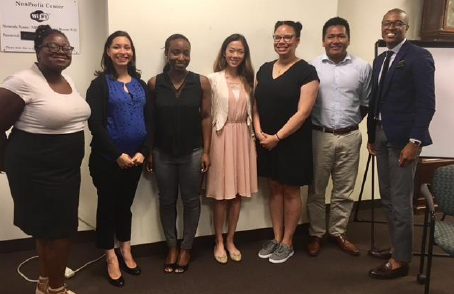 Questions regarding the Diversity Fellowship Program may be sent to the Massachusetts Chapter office at info@afpmass.org or contact us by phone at (781) 894-3140.